Right, so let's get this out in the open. This is why some people dismiss the vegan lifestyle right off the bat. Because even the most well meaning people can screw it up. Horribly. Last time I posted in this group, my life situation was different. I am now living in Portland, growing a lot of my own food and buying responsibly when I can't. If given the option, I'd only ever eat lab grown meat. I can't see myself giving up meat or dairy. My husband won't, either. I know there are vegan options that could keep me healthy and happy, but they are so far outside my price range, it's laughable. No different from the nuts who trust God to cure their child. They erect a mental barrier between the fortress of their radical beliefs and the wrongsters on the outside world. 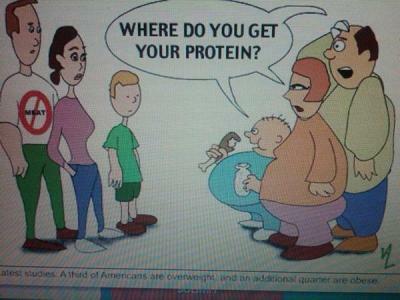 I bet they were afraid of being told that their dietary beliefs were hurting their baby. So, protecting their belief system trumped protecting their child. "Protecting their belief system trumped protecting their child." "They were found guilty because they refused to seek adequate medical attention for their sick and ailing child. These people were not brutal. They were not trying to hurt their child. Quite the opposite. - they may not have intentionally set out to hurt the child - but I dont think they cared either way. They were selfish. That medical attention would have suggested something they were morally against." I dont think morality played a part in any decision they made. Thats just their excuse. Because if she were really moral, if she had any real empathy, then the sight of her sick baby should have prompted her to help it. They did it out of pure self interest I think. From my anecdotal experience, the vegans I've encountered tended to be for the most part believers in woo, conspiracy theories and other miscellaneous nonsense. They also had a kind of postmodern-pretentious- culturally-relative attitude to them. I think you can throw in that they are often among the anti-vaccination crowd as well. Educated idiots. Commendable, growing your food, I do try, but the pests get most of it! I don't know..with almost 70% of Americans considered to be overweight and 35% obese, I can't see vegans representing some big health risk. 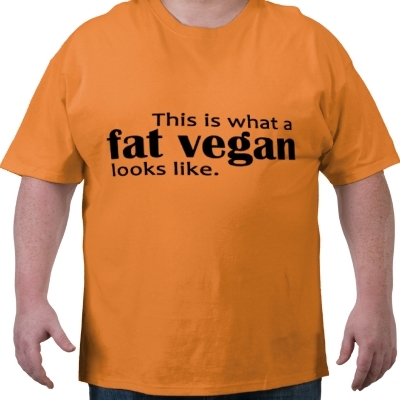 You think there aren't overweight vegans? I never implied that vegans represent a big health risk. Where about do you live? What kind of pests are you dealing with? I might have some suggestions that can help. I'm in the Pacific North West. Great growing country, but I've managed to grow a little bit everywhere I've lived in the world. Actually, we should probably take this discussion to the Gardening Group. Flawida land of wabbits, caterpillars, aphids, birds, ..you name it.. I'm going to need that shirt some day.. I have a baaaad feeling. Of course, maybe a baby born into a vegan family is better off dead. I remember a woman I dated way back when who made pizza for her young son. Was there pepperoni on it? No, tofu. I didn't date her for long. Sorry, I don't live under a bridge. I think I expressed a thought a lot of us have. I just said it in public.